It’s most likely what has been cleverly coined as impostor syndrome and it’s more common than you might think. Psychologists Suzanne Imes, PhD, and Pauline Rose Clance, PhD, were the first to describe impostor syndrome in the 1970s. Simply, it means you are unable to internalize your accomplishments, despite evidence to the contrary. 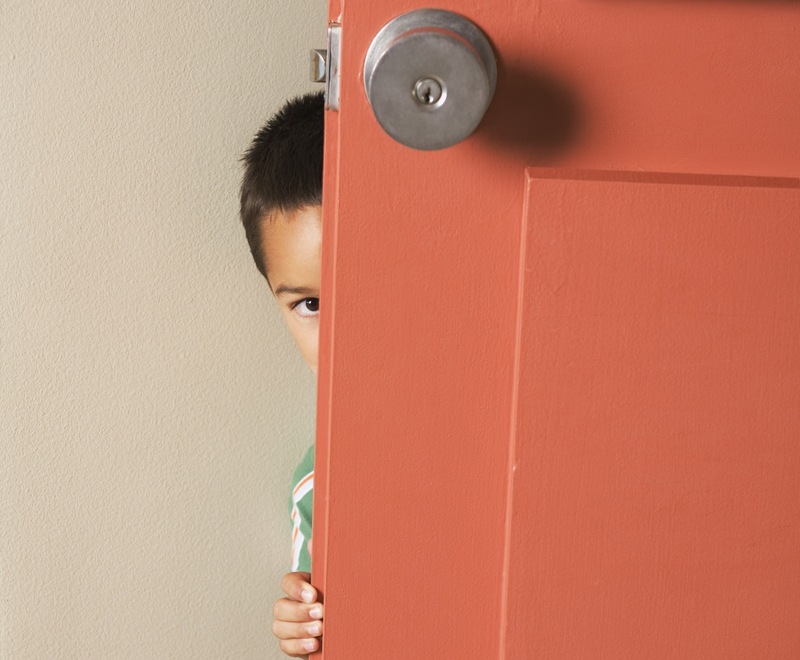 Up to 70 percent of people have suffered from impostor syndrome at some point in their lives. It seems to affect individuals the most who are at beginning of their careers, starting a new project, or embarking on something new in their lives. It’s also highly prevalent in the medical and technological sciences and highly competitive environments. Not everyone agrees about the prevalence of impostor syndrome. There are some who believe that individuals claiming to suffer from impostor syndrome are actually partaking in self-presentation. Self-presentation is basically when people mold their behaviors or personality to align with what they expect other people to want from them. They will reveal whatever part of themselves is most likely to illicit a favorable response. What does this tell us? Nothing that we didn’t already know about investigating personality traits. It’s an emerging science and like all science, is subject to questioning and continued refinement. Still, there’s no debate about whether or not some people do genuinely feel like impostors, because they do. And it can negatively impact your life and work. 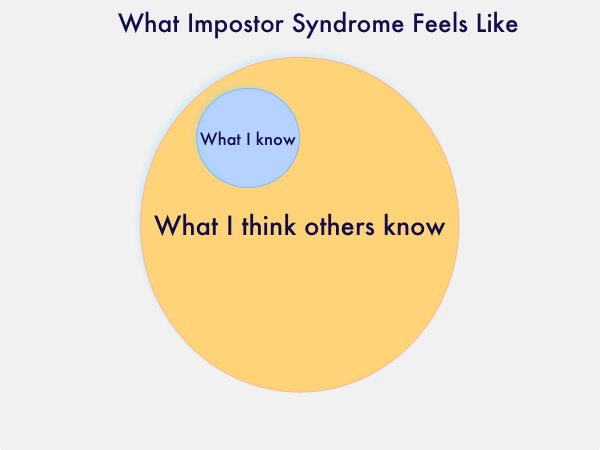 Why is impostor syndrome problematic? If I didn’t study this way, I convinced myself that I would fail. If you tell yourself you are going to fail enough, you do. If you consistently tell yourself you don’t belong, you won’t. So here’s how to stop thinking you’re a fraud. It’s okay to feel scared and some self-doubt is totally normal. Letting feelings of self-doubt and unworthiness go unchecked, however, is where we get into trouble. It’s that negative self-talk that actually creates an environment conducive to failure. Try to find a mentor whose opinion you can’t casually dismiss and get their take on what you are going through. You aren’t alone in feeling this way and knowing that, will not only make you feel better, but it will give you a much needed reality check. Once you acknowledge that you feel like an impostor, you can stop those feelings from overtaking you and your work. 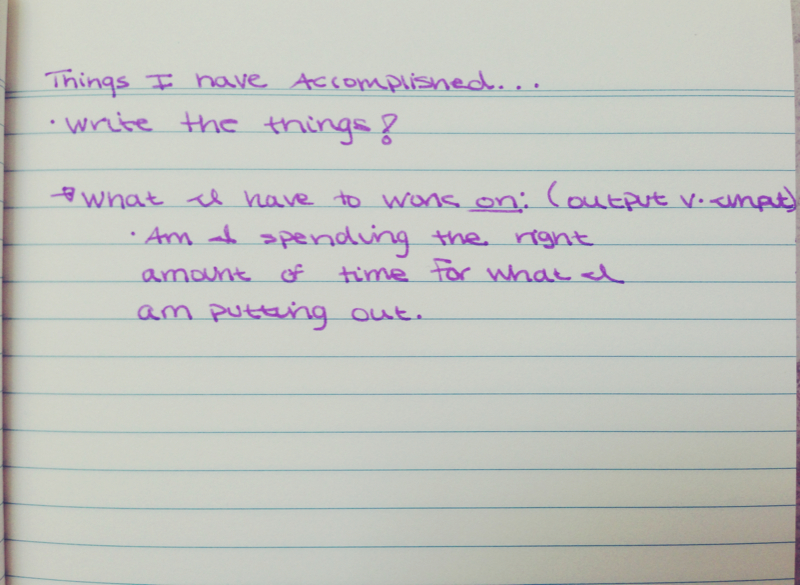 I’m afraid to acknowledge any successes I have had. I chalk them up to being the right place at the right time. I also know other people are more successful, which I believe discounts any of my actual success. I can tell you that this kind of thinking gets you nowhere. It makes it impossible for you to feel like you’ve ever achieved anything. Instead, try attributing your success to your actual work. You work hard, you deserve to acknowledge the work that you do. Some of the best advice I’ve read regarding taking ownership is from Natalie Houston at Chronicle.com. She says that people too often act like sponges and less like creators. A sponge is passive, it can only absorb information. Whereas a creator is active, they are responsible for their own actions and thoughts. Own what you do, own how you do it, and respect yourself for trying. Impostor syndrome and perfectionism tend to go hand-in-hand. People assume if they could just do their work “right” than they would finally be able to feel good about their accomplishments. Of course, something always goes wrong, which ends up increasing feelings of fraudulence. Being overly self-critical because you can’t obtain perfection is a recipe for disaster both mentally and physically. It can even hinder your ability to accept support from those around you. Curtailing perfectionist tendencies can help you reduce your feelings of being an impostor. Allow for a space and time for imperfections to exist so you can see that the universe will not implode when things aren’t perfect. Ask yourself if your thoughts are based in reality? Can you tie them to facts? Celebrate what you do well and take some responsibility for your mistakes, but don’t let them control you. People don’t expect perfection, they just want you to do your best and there is a difference. As with any kind of ingrained thinking, personality trait, or state of mind—this doesn’t change overnight. Changing the way you think about yourself and your work involves a lot of steps. You have to unlearn certain behaviors and relearn others, but that’s okay. This change should be gradual. The next time you feel like a fraud or impostor, unpack your feelings for a minute and realize that you aren’t alone. The fact that 70 percent of us have felt like fraudsters at some point in our lives tells us that there’s a lot of untapped support out there. So don’t be afraid to talk about it. Someone out there has felt the same way as you and the more we talk about it, the less we all have to suffer.